As follow-up to yesterday’s #RPGaDAY post, here’s a melancholy visitor from the past: the preview PDF of Welcome to Sunnydale, courtesy the Wayback Machine. Welcome to Sunnydale was the next Buffy the Vampire Slayer supplement in Eden Studios’ pipeline when they lost the license from Fox. There were more books written and various stages of development as well, like a Watcher’s handbook, and books for Angel paralleling the players and beasties books for Buffy, but apparently none were so far along as Welcome to Sunnydale was. So well developed, in fact, that Amazon lists it as “out of print.” If only we’d had that brief, shining window of market release. Thanks to urbwar of RPG.net for digging up the Wayback Machine link. 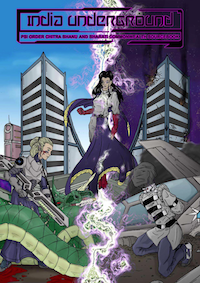 The Extraterrestrials Sourcebook collects previously published information about the alien races at large in the Conspiracy X role-playing game, and then brings their activities up to date with the new oughties timeframe. That said, the book is very rooted in the past. Each of the three chapters goes deep into the history of its species. “Way back, before you were born”-deep, to the origins of each species. Which is great for the long view. Midway through the Saurians chapter, I started asking myself, “Is this all we’re going to know about what they’re doing now on Earth?” Atlanteans, Greys and Saurians do all have a section on what they’re up to at the moment, but it’s so tantalizingly brief and vague compared to the full, detailed histories of the three species. 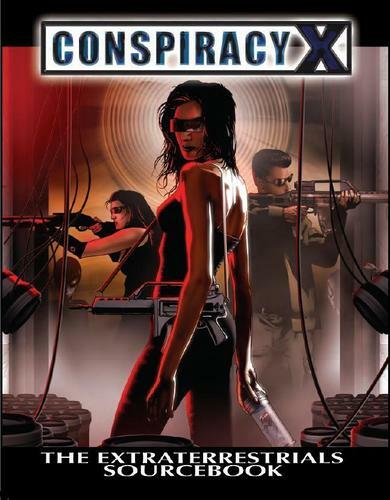 A lot of that must come from the original remit of The Extraterrestrials Sourcebook: condense material written for supplements of the first edition of Conspiracy X into one volume for the current line and move the timeline up by fifteen years. In light of that, each chapter does a remarkable job covering history and culture of three distinct species. The name of the podcast escapes me, but I remember hearing the designer of Swashbucklers of the 7 Skies, Chad Underkoffler — I think? It’s been a long time since I heard the episode in question — describe his realization that long histories of how Sir Buffington defeated Lord Nemesis, and so on, can and ought to be elided into “Epic stuff happened leading us to this tipping point. Now you guys need to do something.” I’ve taken that to heart, and any time I run across supplemental material that is basically a long timeline of events that sound very cool, but are of limited utility to informing the present situation — unless you decide all those points on the timeline are covert plot seeds to bring forward to your game’s time frame — I do look askance, and wonder if this space could have been given to something a little more relevant to the contemporary status quo, and how it’s about to fall apart. That said, I did appreciate the look into the culture and mentality of the extraterrestrials, different and varied as they may be. The Greys are the closest to monolithic, since they’re so deeply interconnected by telepathy. But even they have differences and internal division — especially, interestingly, between those on Earth and those on Greyworld. Greys on Earth are quarantined from the rest of the species because of concern about psychic contamination. The Saurians, it turns out, are divided into many factions, unlike their representation in the corebook, which is really just one faction that is most visible to AEGIS. And the Atlanteans wind up a race of radical individualists, as everyone strikes out on their own. The Extraterrestrials Sourcebook is an interesting peek into the alien races interested in Earth. I’m dubious, though, how much use the information is here to 80% of the Conspiracy X games out there, as it seems unlikely most of them are going to go that deep into interaction with any one species, let alone all three. I’d rather have much more information about what they’re doing on Earth right now, and examples of how AEGIS cells and Black Book agents interact with them. Acknowledging that any throwaway mention of what an AEGIS cell did or reported is really a coded plot seed for the GM’s own campaign, either to kick it off or provide a template of what the players might get embroiled in. It’s been all Pathfinder in my role-playing life, lately. Two on-going adventure paths and now my friend Neil has launched a Kickstarter campaign to fund Companions of the Firmament, a Pathfinder supplement for flying mounts, flying characters and aerial options. Lucky for you, the project’s already funded, so you can climb on board knowing you’ll get a nice reward no matter what. If you want to hear more about the project first, I interviewed Neil this week over on Carnagecast. Neil also talks about the preparatory work he did for Companions of the Firmament, including conducting the Kickstarter role-playing game study that he released a few months ago. The cover of the Immortal Codex. Discussion last week on RPGnet about WitchCraft and other urban fantasy games has got my thoughts turning around that game again. First the Gilchrist Trust crossed into the WitchCraft world. 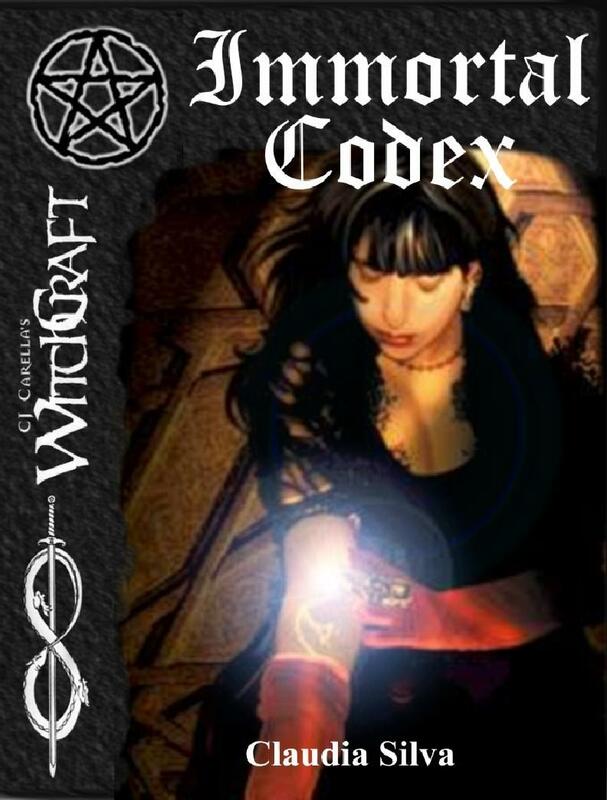 Then a passing reference to a self-published game called Immortal Invisible War led me to the Immortal Codex, a fan supplement for WitchCraft. Claudia Silva took the format of a typical WitchCraft supplement and ported over wholesale the background and set-up of the Himsati immortals for use in Unisystem. I’m not familiar with the Invisible War, but it looks like a pretty gnarly, gonzo sort of urban fantasy with the resurgence of gods and dragons erupting into modern day as the shards of the mad god called the Sanguinary still lurk within mankind. The cover of India Underground. The Chitra Bhanu — dark psions, chibs — were those rare psions gifted with the most remarkable of abilities, the ability to control the very fabric of the universe. The quantum forces of gravity, electromagnetism and weak and strong nuclear forces were their playground. They seemed to be the most powerful, shining beacon for the defense of humanity against the Aberrants, and they made their home in a land that shared their glorious brightness–the Bharati Commonwealth. Until they themselves fell to the Aberrants’ dark pursuit…or did they? That’s the pitch for India Underground, a fan-written supplement for the science fiction role-playing game Trinity. In the twenty-second century, humanity has overcome catastrophes to begin taking its first steps among the stars, as well as rebuilding at home and in orbit. A series of supplements for the game detailed the psi orders, organizations that imbue people with psychic abilities of various aptitudes, and the regions of the world in which they are based. One pairing, India and the Chitra Bhanu order of quantakinetics, seemed like it would be left out. I don’t know if a Chitra Bhanu book was ever on the horizon for Trinity‘s developers, but fans Slagg and Geoff Bain were inspired to write their own. As is the way of the internet, the PDF has become rather scarce on the ground. RPGnet poster Skywalker pointed this out. And I figured, “Why not host it here?” So here it is, with the following disclaimers: Trinity and associated elements are the property of White Wolf/CCP. India Underground is a fan-written supplement which I did not write. My motivation is to make it easily available again, as up to now the file mostly lurked on dodgy file-hosting services. Since it was released for free in the first place, I hope it is cool with the authors to keep it available to the inquiring public. The Extraterrestrials Sourcebook for Eden Studios‘ Conspiracy X game line may see the light of the material world after all. Yesterday afternoon, George Vasilakos opened the Kickstarter page to put out the hard copy version of the book. I jumped right on board, pledging enough money to get the printed edition. (I think I may have been one of the first two backers, actually . . . ) Of course, this being a Kickstarter project, Eden needs to raise the whole $5,000 by the November 30th deadline in order to collect the funds and send the book to the printer. Conspiracy X has served me well as the engine for our Doctor Who campaign. I would love for crowd-funding to revive the series, which gets undue short shrift in the ever-balkanizing role-playing hobby. In addition to the Conspiracy X universe, which blends together the modern mythologies of Men in Black, grey aliens and other weirdness, the game is a solid platform on which to base any game in the modern era. Plus it’s cross-compatible with the other classic Unisystem games, and pretty equally compatible with Cinematic Unisystem material as well. Furthermore, I would also love for this venture to show Eden Studios that crowd-funding can work for their other unreleased works, especially the WitchCraft supplements caught in their pipeline, so I have more than one reason to throw down for The Extraterrestrials Handbook. Not only could I get that book, but WitchCraft fans might have the opportunity to front for The Book of Geburah. There is a dilemma in which I find myself trapped again and again when it comes to new role-playing games. A new game comes out whose premise I dig, so I pick it up. It turns out I like the game and then I look forward to picking future supplements expanding on that game. Only . . . the supplements get trapped in the pipeline or they don’t cover topics of interest to me. 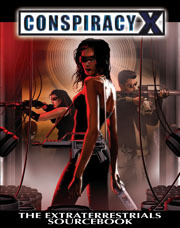 In the first case, I’m a fan of WitchCraft and Conspiracy X, two games published by Eden Studios. Both have had chronic issues with Eden getting supplements through development and into the market. As I’ve seen it related on web forums, they need an infusion of cash to pay the printer for a run of a supplement, so they knock out an All Flesh Must Be Eaten book to generate that sum. But somehow that doesn’t work out due to time and energy concerns, so books like The Book of Geburah and Grace & Guidance linger in development hell. In the second case, consider The Day After Ragnarok, published by Atomic Overmind Press. I love the primary setting book. It’s awesome stuff. The published supplementary materials available so far which I . . . don’t really care about. Sten guns? Monster Island? Not for me. The quandary for me in both situations is this: I want more books to do with the game in question. I understand I need to vote with my dollars to make that happen. But buying the things available seemingly sends the wrong message. In the case of WitchCraft and Conspiracy X, there is nothing to buy; supporting them would mean buying All Flesh Must Be Eaten books; and an uptick in sales for that line isn’t going to help its beleaguered siblings. Similarly for The Day After Ragnarok, if I buy the existing supplements, it tells Atomic Overmind two things: I am interested in those topics — when really I am not — and I buy PDFs — when really I do so only under duress. Additionally, my luxury cash is not so plentiful that I can buy books willy-nilly without having any interest in the content.